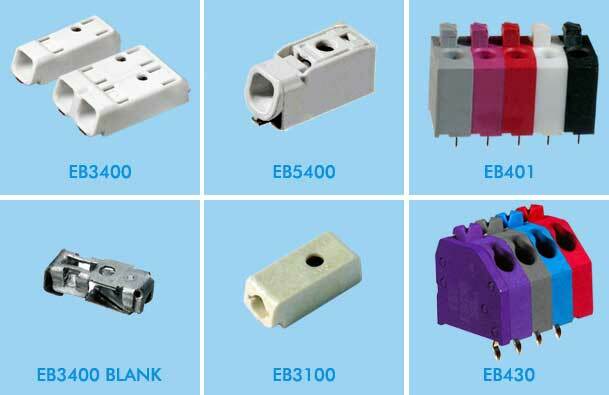 EBY Electro has specialized in custom wire connectors since 1945 and has built a tradition of capability and service. Our design and production experts offer support every step of the way from component development to delivery and warehousing programs. 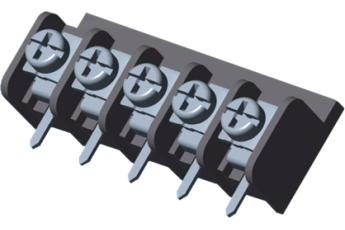 In addition to our large production and standard series product, EBY Electro is an ideal choice for special-project, prototyping and short-run manufacture of electro-mechanical components such as our terminal block line. Our flexible manufacturing abilities combined with seamless international coordination can put product when and where you need it. 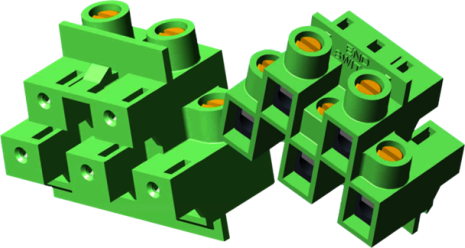 Components produced for industrial refrigeration units. Positions are staggered to accommodate higher current wiring in a compact space. 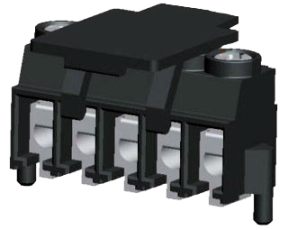 Example of a product developed for the automotive industry, isolating factory wiring from end-customer wiring (above). 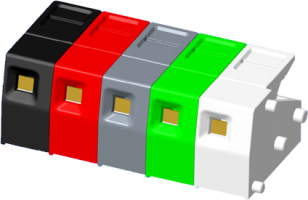 Space-Saving & Production-Friendly Low profile SMT blocks for reflow soldering. 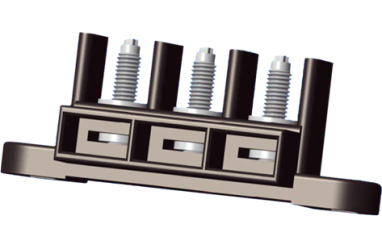 Angled wire entry blocks ease installation and maintenance and feature captive screws. 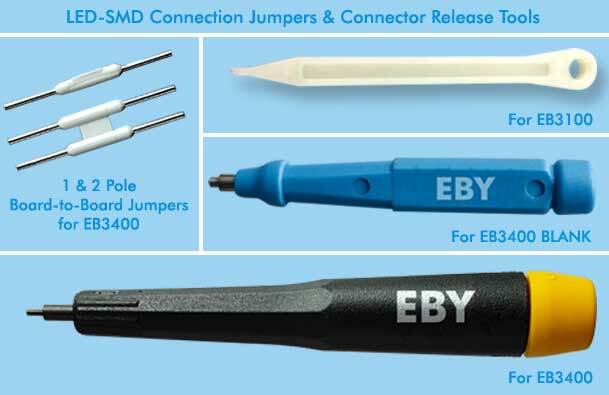 Manufacturing - With EBY's manufacturing network, we can offer quantities and delivery times at very competitive prices.